Darren Harriott is one of the most exciting comedians on the circuit. Over the last couple of years, he has appeared on Live at the Apollo, Russell Howard’s Stand Up Central, BBC Radio 4’s Best of the Fest, The Now Show and 5Live’s Fighting Talk. He also features in a series for Comedy Central Online, and has his own BBC Three short coming soon. 2017 saw Darren head to the Edinburgh Festival with his debut hour Defiant at the Pleasance Courtyard, which was a big hit with audiences and critics alike. In 2018, following a run at the Soho Theatre, he jetted off to the Melbourne International Comedy Festival where he appeared on the televised Gala. 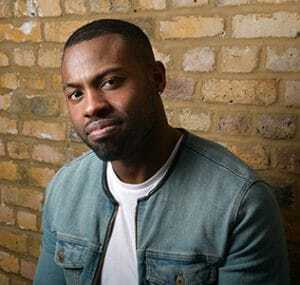 Originally from Birmingham, and now living in London, Darren Harriott is a regular at clubs such as 99 Club, Top Secret, Backyard Comedy Club, The Boat Show, Up the Creek and The Glee. A confident performer with a captivating charm, Darren’s comedy deals with everything from subverting stereotypes, to everyday observations, to that juiciest of topics, religion – all with a cutting edge. Hypothetical: What would Darren do?